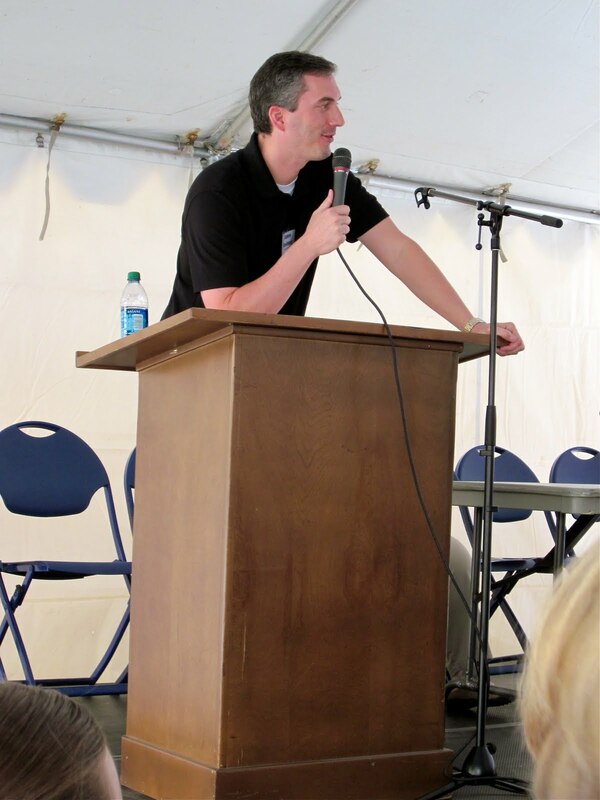 LDS, New York Times bestselling author James Dashner was one of several authors who spoke at the Utah Festival of Books on BYU campus, June 4th. He spoke under a big white tent filled with fold out metal chairs, and even though there were a lot of other activities going on all around (including a large garbage can that occasionally rolled noisily by), he gave a very good and entertaining lecture. Even my husband, who is not a book geek like me, enjoyed what James had to say. I think it was mostly because James made some cracks about the guy pushing that trash can, but hey, whatever works right? James' playful attitude definitely makes him fun to listen to. 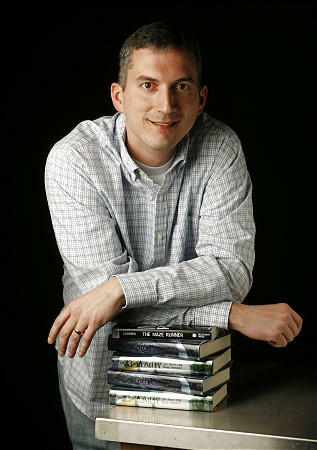 James Dashner is a native southerner, born in a small Georgian town. He later graduated from BYU in finance and worked for many years as an accountant. Currently, he lives in Utah with his wife and four kids. He is the author of three series, The Jimmy Fincher saga, The 13th Reality series, and The Maze Runner trilogy. He began his presentation by asking the audience to raise their hands for being readers or non-readers. There were one or two non's and James simply told them, "If you don't like to read it's because you haven't found the right book yet." James said that his first favorite author was Judy Blume. She became his superhero when he was younger and he envisioned her like Abraham Lincoln -famous and dead. Super Fudge was one of his favorites of hers. He then shared a "cool story" concerning Judy Blume. After The Maze Runner was published, Random House flew James out to their headquarters in New York. At one point, James got into an elevator and an older lady happened to get in as well. It was Judy Blume! He recognized her but was too scared to say anything. He said that it was pretty much the equivalent to being in an elevator with J. K. Rowling. When the elevator stopped, they both got off. Their respective publicists who were waiting for them, introduced Judy and James. James got to shake Judy Blume's hand! Then they parted ways. Later that day, James was informed that Judy had invited him to have cupcakes and tea with her in an hour! They had a wonderful time, and she even invited him to visit her home (he hasn't gone yet, but how cool is that? A dream come true!). "The Maze Runner is the book that changed my life." James wrote the first draft of The Maze Runner in two months then sent out query letters to get it published. It was rejected. He then put it in the (proverbial) closet. During The Maze Runner's closet time, James began writing The 13th Reality series which was later published (it is still an ongoing series. There are three books so far). Then, after learning so much more about writing, he unearthed The Maze Runner and rewrote it. He sent it out again, got an agent, and Random House (one of the huge publishing houses) wanted to buy it! James was an accountant and he hated it. With the success of selling The Maze Runner to Random House, he was finally able to quit his job and do what he loves -write. James told us that The Maze Runner is going to be made into a movie by 20th Century Fox. He went on to say that he met Christopher Paolini, author of the Eragon series, at BEA (Book Expo America) and that they talked about the Eragon movie (2006). Chris said that a new Eragon movie might be made because the other one was so bad. James told us that he would be devastated if The Maze Runner movie was bad. James confessed that he is a total movie buff (he doesn't like to watch movie trailers though because he said that they pretty much ruin his movie experience. But he did say that he will probably watch The Maze Runner movie trailer a thousand times or so). The good news is that James' agent feels that it will go well. The movie script is done and now the movie people (who are they? what do you call them?) are looking for a director. James told us that he doesn't have any say in who is chosen, but that he has received emails from some pretty big-name directors simply introducing themselves and telling him that they would love to direct the movie. Rick Riordan, author of the Percy Jackson series (I love these books! ), was somehow brought up during the lecture and James told us that once, Rick tweeted that he likes James' books. In reference to a question about The 13th Reality series, James said that the next book (book four) will come out next spring. He also said that with the success of The Maze Runner trilogy, work on The 13th Reality has slowed down. He does plan on continuing it, but it is not on the top of the list. 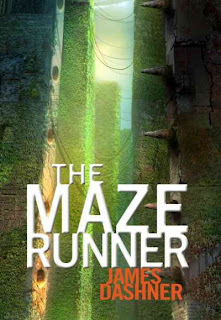 A little while ago, I started to read The Maze Runner and was instantly hooked. It's told from the perspective of a teenage boy who suddenly finds himself thrust into a strange, huge maze, with no prior memories except his name. There, he is surrounded by other boys who have been in the maze, struggling for their lives, for differing amounts of time. The creators of the maze, and the purpose of it are a terrible mystery. The sequel, The Scorch Trials, was released last year and the third book, The Death Cure, will be released October 11th of this year. After the lecture, James was available for autographs at a table inside the nearby Wilkinson Student Center. When it was finally my turn, he said that I looked familiar (what's up with this? I love it! I take it as foreshadowing)! I probably said something dorky and we laughed and then he very kindly let me get a picture with him. After his signing time was up, he stayed to enjoy the festival. He's a really cool guy! I hope he comes back to the area for another lecture or signings when his next book comes out! I was at this festival and I heard his speech. He was great! I'm a member of Utah Book Bloggers, too, and you sent me a message to refer you to your blog. Love it so far! It's been great to meet people that love reading as much as I do. Thanks, Jessica. Utah is such a great place for book lovers!